Is Facebook really bad for you ? Facebook former executive, Chamath Palihapitiya who back-slashed the world No. 1 Social media which he helped build in comment where he said Facebook is “starting to erode the social fabric of how society works” and it is “ripping apart” society has caused a restless scenario with people beginning to loose their trust on Facebook. He said that he will use Facebook less while his kids will not use the social network at all. 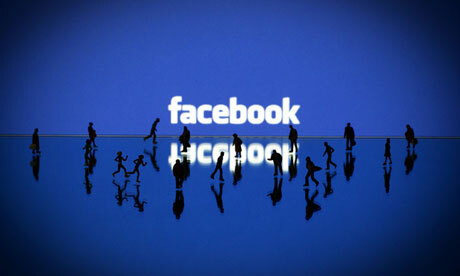 Facebook was said to be becoming more political, money-making than social which it was actually meant for. Starting from it’s humble beginning and moving to the public the social network has gained more users monthly. Facebook has so far become the most used and the social network with the most user duration, thanks to it’s content populated by it’s user. But something said by the network on Friday shocked the whole world. The company revealed the using the service can be seriously bad for you. According to CNBC, Facebook’s director of research David Ginsberg and research scientist Moira Burke published a post where they got to answer, how facebook affects one’s mood. Literally, if you’re the type that scrolls down facebook just to read post made by others you are likely to get into a bad mood. I wonder how that applies when you read the funny things on facebook. More of the research result conducted by Facebook at Carnegie Mellon University shows that, facebook users who are actively sending and receiving messages have no bad mood experience. And speaking of Chamath comment concerning facebook. He has not worked for the company for six years – facebook reveals saying it has changes since Chamath left. Read the statement by facebook which follows the comment by Chamath. Chamath has not been at Facebook for over six years. When Chamath was at Facebook we were focused on building new social media experiences and growing Facebook around the world. Facebook was a very different company back then and as we have grown we have realised how our responsibilities have grown too. We take our role very seriously and we are working hard to improve. We’ve done a lot of work and research with outside experts and academics to understand the effects of our service on well-being, and we’re using it to inform our product development. We are also making significant investments more in people, technology and processes, and – as Mark Zuckerberg said on the last earnings call – we are willing to reduce our profitability to make sure the right investments are made. In conclusion, you can testify that the reason why people spend much time on facebook application or website is because of the ever increasing social engagements. If one gets swung into a bad mood or something related to that, it can be of low self-esteem or depression self-caused. When one is facing a huge problem that weigh so much and then you go down the feed seeing things that is opposite your condition, you tend to feel more left out and that can lead to some serious case if not looked into.